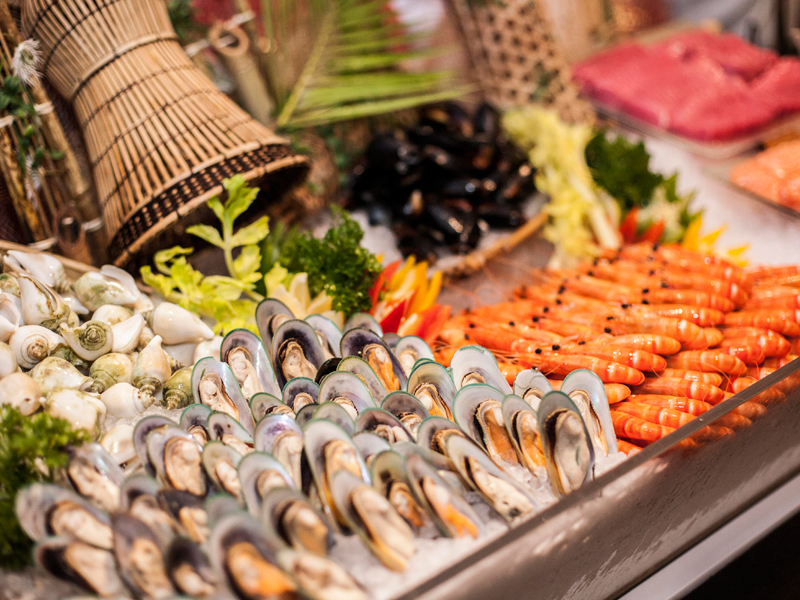 Introducing a slew of international culinary gems, The Square brings out the best flavours of the East and the West in the buffet and a la carte spread. With modern sophisticated setting, this international fusion cuisine restaurant showcases a spread of more than 60 dishes from around the world. Chef with his entourage of experienced culinary chefs cooks up portions at the restaurant’s open-plan show kitchen serving you fresh salmon sashimi, roast beef, signature oatmeal prawn and many others.